Welcome to Barbosa’s Kustom Kolor Paint and Auto Body Repair. We specialize in quality auto body repair you can count on. Also, our friendly and professional staff is here to answer any questions you may have about our company, your car, and our services. If you need an estimate, we make it easy! Go to our Request an Estimate online form and follow the instructions with include: take pictures of your car, get all the information we need about the make and model of your vehicle. Upload the photos to the online form and complete all the information about your car we need. We will do our very best to get you an estimate from Barbosa’s Kustom Kolor in no time! At Barbosa’s Kustom Kolor Paint & Body Repair, our goal is to provide you with courteous, expedient, professional service of the highest caliber. Service so excellent that you will refer your friends and family. We have a lot of positive reviews, and we’d love the chance to have you write one of your own! 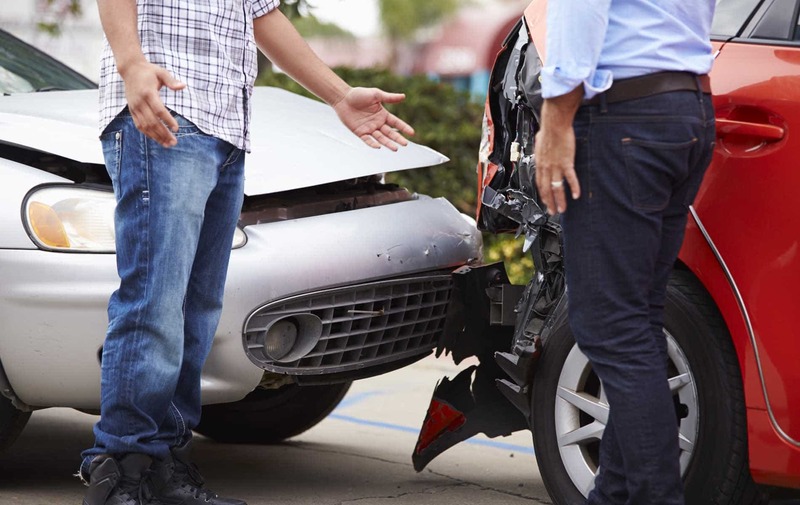 An auto accident can be a stressful and sometimes painful event. Choosing a collision repair shop should be neither. Even if your car is a tangle of metal and looks like something from a bad dream, getting it fixed doesn’t have to be a nightmare. The key is choosing the right auto body shop. It’s an essential choice because, for many of us, our car is a significant investment. 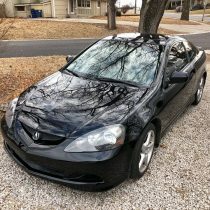 My Wife and I would like to give a BIG “Thank You!” to The Shop and all the technicians who did such a WONDERFUL job repairing and refinishing the front end of our beloved RSX. Their attention to detail and workmanship is BAR-NONE! Great customer service, and just nice fellas to work with! Thank you very much. We highly recommend you take your vehicle to Barbosa’s Kustom Kolor! There are instances when you aren’t in a serious accident, but you back into a cement block you didn’t see or another car in a parking lot. At Barbosa’s, we handle these types of auto body mishaps as well. What we hear the most from our customers is that we have excellent customer service. We take care of our customers by following through, giving them the updates they are waiting for, and communicating with them every step of the way. A lot of body shops fix cars (we still think we do it better than most) but not everybody shop owner delivers the high degree of customer service that we do at Barbosa’s. Our return customers know followup and follow through. They can count on it. You’d think this would be nothing new. At least it’s not for us. How an auto body shop works on a car is pretty straightforward with most reputable shops. What sets Barbosa’s apart is the way we work with customers. We’ve had the same core group of technicians since 2012. So you pretty much know that we have a great work environment as well. One could argue that this consistency helps us deliver repair and car painting with a higher degree of excellent tech work. We can fix your hail damage in no time at all. If the damage is light, we may use our PDR process; if a little more work is needed, we can fix that too. Your car will look like it did, even better, before the hail storm. Report the damage to your insurance adjuster right away, then give us a call for an estimate. Having a door ding can be easily fixed with our Paintless Dent Repair process. There is no need to drive a car that has a dent that could be inexpensively taken care of with state of the art PDR techniques. A dent today could turn into a rust problem down the road. Upload your photos to our Request an Estimate form, and we can call you with an estimate of what it will take to get your door looking smooth again. Not only do we care about returning your car to you in excellent form, but we care about the environment. We have solar panels on our roof, and we only use environmentally friendly PPG Paint to bring your car panels back to their original look and luster. Excellent auto bodywork coupled with a perfect match paint job is what we are all about! Some of our customers refer to their car as “my baby.” We even have a few customers that have a name for their car. People have great memories of a car or a ride in a car or a car trip. Having emotional attachments to a vehicle is normal. Being in a car accident that requires a body shop is not an everyday occurrence for most people. And because we know how important your car is to you, we pledge to take care of it and return it, as best we can, to the condition it was in before your accident. In some cases, it looks even better! We’re pretty sure any auto body shop you talk to will say you can trust them. But we bank our reputation on not only fixing your car but delivering outstanding customer service in the process. Our auto body repair team is the best at what they do. Your car will be as good, if not better than it did before your fender bender, dent or accident. Barbosa’s has been serving our customers since 2008. We provide Auto Body Repair, Collision Repair, Paintless Dent Repair, Hail Damage Repair and expert Car Painting for insurance claims and non-insurance accidents and fender benders. Call us today at (816)741-6348. We care about your car and our reputation.